Here’s a new one from U2 off of No Line On The Horizon. I’ve never been a big U2 fan, although there are a few U2 songs that I’m into. They’ve got an ocean of music splashing around out there, so there’s bound to be at least a couple songs that you like. My personal favorite is “In A Little While”. 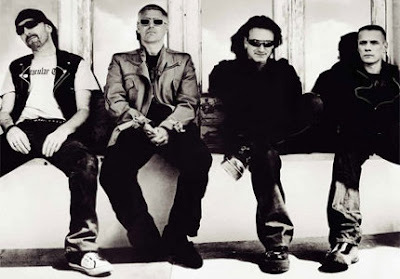 “Get On Your Boots” is definitely a new sound for U2, and I give them credit for still experimenting after all these years, but I doubt it’s going to turn into one of the few U2 songs that I’d choose to listen to. Check it out. Thanks to PMA.